Consistent financial planning is essential to growing your wealth and building your financial security. A plan that is on course to meet your expectations in later life is also one that can help protect you against market setbacks or changes of circumstances. But it is also important to regularly review and enhance your level of investment. Financial planning encompasses different elements including managing investments, retirement strategies, making a Will and tax planning. The first stage is to review your current financial situation To get a clear view of your circumstances you will need to calculate your net worth and your annual income and expenditure. Your net worth is the difference between your assets and liabilities. Then start to consider what you need to do to improve your net worth the over the ensuring years. Once you know your net worth you can look at your annual income and expenditure. This will give an overall indication of your financial situation. You will also be able to see if there is surplus income available for further investment. However, once you get into the habit of keeping track of your outgoings you will be able to make changes to increase your disposable income and improve your financial situation. For example, restructuring debts to reduce costs. Income and expenditure data is essential for making informed longer-term financial projections. For example, looking at your projected income and expenditure position if you fall ill and cannot work or if your partner dies. Once you have a clear picture of your finances and lifestyle, you can start to think about your objectives. These don’t have to be financial goals but can be things you want to achieve. Working out how much your goals will cost can be difficult, particularly with long-term plans. However, you need to know roughly how much you need to save. Taking inflation into account and fluctuations in stock markets will have a significant effect on the final costs. Your attitude to risk will play an important role in deciding which savings and investment products you use. For example, if you are comfortable with risk you might consider investing in venture capital trusts or stocks and shares. However, if you are more cautious, savings products such as ISAs or collective investments such as bonds or unit trusts might be more suitable. Planning for retirement is likely to be on most peoples’ ‘financial to do’ list. Although auto-enrolment means many people will be saving into a workplace pension by 2018, increasing your pension pot will make your retirement more comfortable. Increasing pensions contributions: Saving for the future by reducing your disposable income today can be difficult to justify, especially if you have pressing short term goals. You could consider increasing your contributions if you get a pay rise or if your profitability increases. 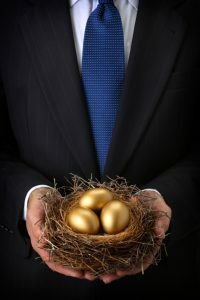 Self-invested personal pensions (SIPPs): SIPPs are similar to conventional pensions but the investor has greater flexibility as to how funds are invested. If safeguarding your money or protecting your family or dependants is a high priority, protection options might be of interest. whole of life insurance which pays out on death. With careful planning, you can pass your wealth on as efficiently as possible. If your property and possessions (sometimes referred to as your estate) are worth more than £325,000, you may have to pay inheritance tax (IHT) when you die. IHT is charged at 40% on everything over this threshold. Call us to discuss your personal finance planning.